Happy Monday loves! I hope you guys all had a great Easter Sunday! H and I spent it with my fam, bc of course J had to work, but we still had a fun day! And we got to watch Jesus Christ Superstar and it was pretty much the most amazing thing ever! Musical theatre just has my heart!! And you know what else has my heart...Henri Oliver!! You know it, I know it, H knows it, and he is loving all of the new Camden Lane bandanas in the shop! A lot of you have been asking for more "boy" bandanas...and bc H loves rockin' every look from florals, to pink, to black skulls, I forget that some fur parents like things a little more black and white...or I guess blue and pink...so I made some more "boy" bandanas...that honestly can be worn by anyone...boy or girl, fur baby or human baby, I don't care...just do you!! 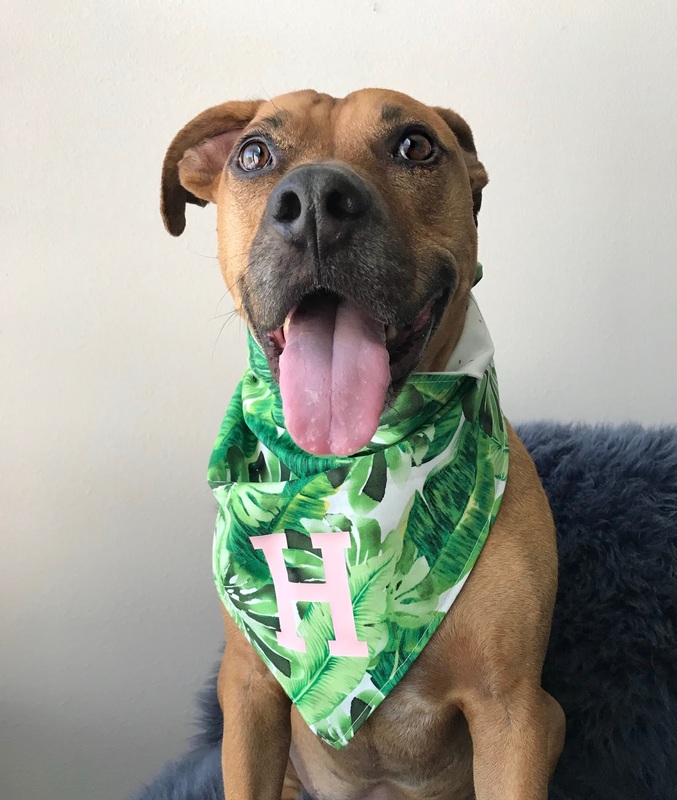 And don't forget that when you purchase a CL bandana you are helping save lives so whether your dog likes wearing pink or plaid or camo make sure and shop till you drop! !